OnePlus is a great device and we all know that it’s UI is easy to use and have so much stock like look and feel. This Apk will make your device UI look like OnePlus, this app is great and easy to install. Oxygen os is so much famous because of its simplicity and clean UI. Now you can easily download OnePlus Launcher and get that experience in any android device by just installing this apk in your android phone. OnePlus Launcher has a feel of oxygen os and OnePlus devices. 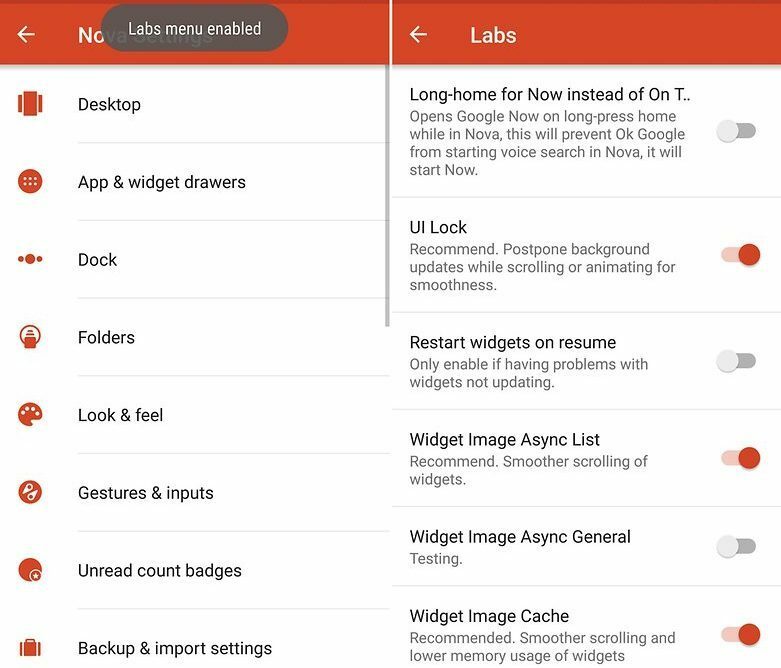 OnePlus Launcher does not require root permission and all the android phones are eligible to install this latest OnePlus Launcher Apk. 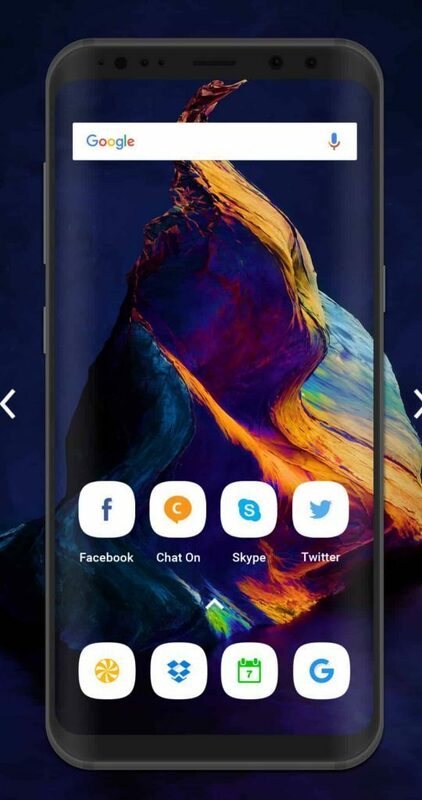 This launcher is different front other launchers because other launchers consume more battery and they are also too much complicated to understand. Oxygen Os is famous for its simple UI and stock like feel because of its simple UI it does not consume too much of battery and will provide you with the latest oxygen os look and feel. In this apk you can choose different wallpapers and make them your home screen. Installing a theme is not necessary for wallpapers because the user can easily select the wallpaper from apk and apply it to the home screen. 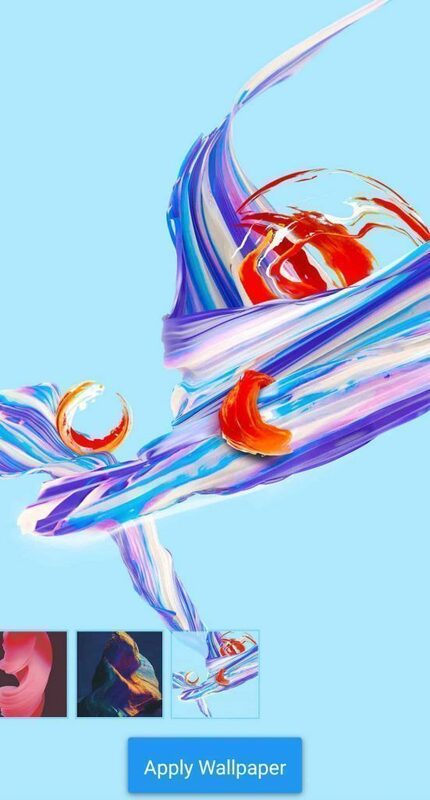 OnePlus Wallpapers– User can use OnePlus wallpaper without applying theme so applying theme is not necessary for wallpapers. 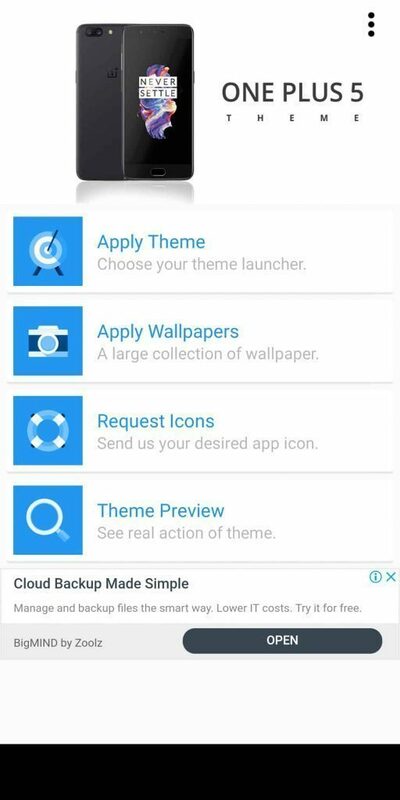 Theme Preview Option- This launcher has a preview theme option where we can preview the theme and can watch the theme ui before applying it. Stock Like UI Look and Feel- This launcher has stock-like look and feel means after installing this theme you will get the stock like experience. Low Battery Consumption – This launcher is so much simple that it won’t consume too much battery and will work like a charm. First of all, visit the links given above. Then download both the applications. Then wait for the installation process. 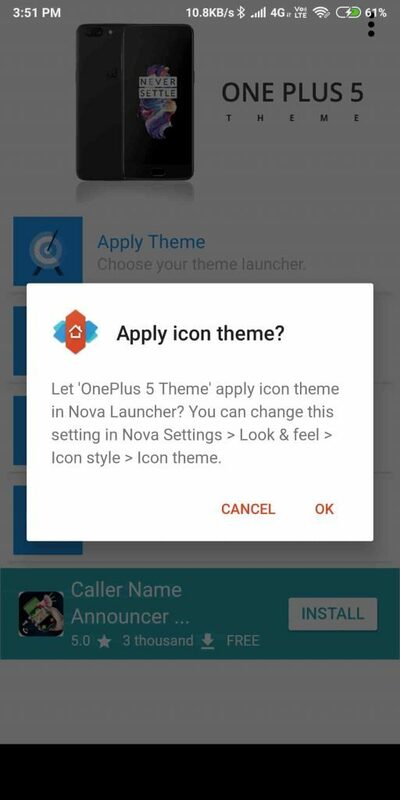 You Can Install theme by clicking the first option. 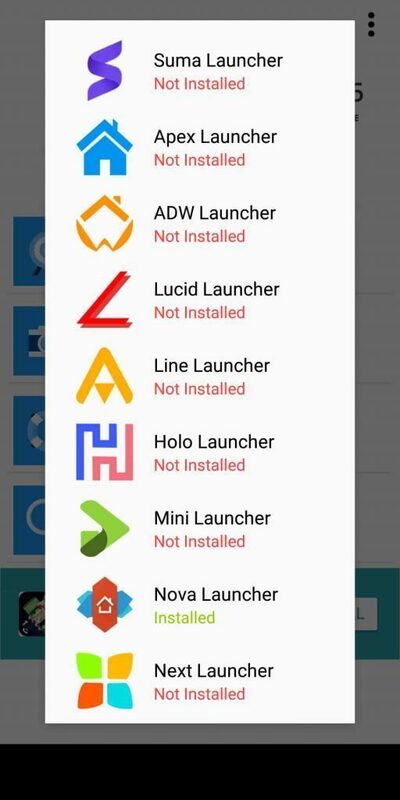 Then a screen will appear and there you have to choose Nova launcher. 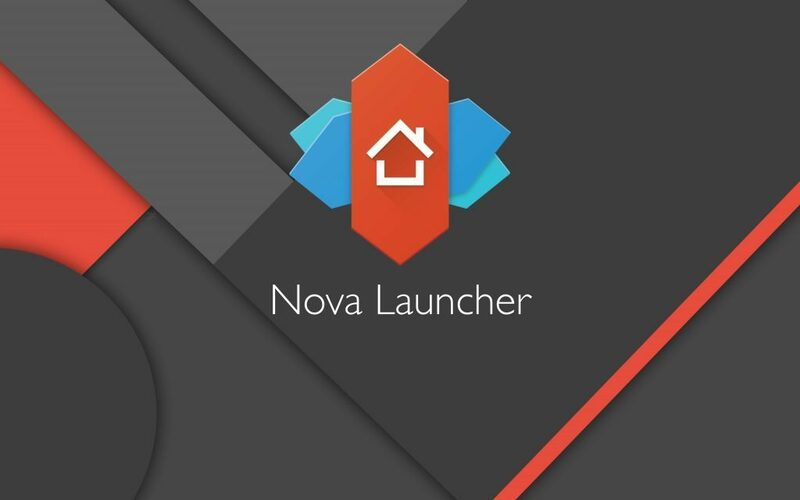 Click nova launcher and then click ok. Remember you can customize app drawer settings through nova launcher any time. You can also change the app icon width and screen transitions through nova launcher. Now enjoy the OnePlus Launcher. Then click an option named apply wallpaper. Click the option once and a new screen will appear. You can click apply wallpaper to use that wallpaper for the home screen. Then select the fourth option and by clicking it we can preview the theme. I will suggest previewing the theme first before applying it to your android phone.